Nancy Lee Oberholtzer, age 86, of Fickes House Homestead Village, passed from this life and went on to glory Tuesday, July 24, 2018. Nancy was born on May 3, 1932 in Harrisburg, PA to Frank and Ruth (Stouffer) Henne. Her family moved to East Hempfield, Lancaster and she grew up living on her 90-acre family farm on Centerville Road. She graduated from East Hempfield High School where she played field hockey and basketball in 1950. Nancy married the late Wilmer S. Oberholtzer in August 1955. They were the proud parents of three children and shared their faith and life experiences to encourage independence, consideration of others and achieving happiness as their measures of success. Nancy was employed by Hamilton Watch and Armstrong World Industries before starting her family. She started her employment at Lampeter Strasburg School District in 1966 and enjoyed several secretarial positions at Martin Meylin Middle School until her retirement in 1986. 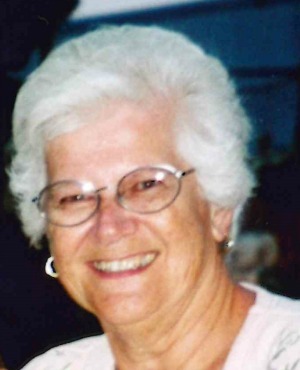 Throughout her life, Nancy served her community in many ways, including singing in the choir and teaching Sunday School at Ross Street United Methodist Church; recording books for the blind and knitting prayer shawls for nursing home residents. In retirement she enjoyed being a member of the Overlook Ladies 9 Hole group and traveling to many of the National Parks. She is survived by a sister Ruth Greenawalt of Mountville, PA; a son Robert Oberholtzer (Maureen) of Monroe Township, NJ; a daughter Ruthanne Ferguson (Bill) of Springfield, PA; a son, David Oberholtzer (Heidi) of Mount Joy, PA; four grandchildren and 2 great-grandchildren. She is preceded in death by her parents; brothers Frank S. and Harvey Henne; and a sister, Esther Henne. The interment will be private with family. In lieu of flowers, donations may be made to Homestead Village Memorial Fund, 1800 Village Circle, Lancaster, PA 17603. I am sorry for your family’s loss of Nancy. May you find comfort in the many precious memories you shared as well as God’s promise to restore our dear loved ones to perfect life on a paradise earth. ( Psalm 37:29- Revelation 21:3,4) As you contemplate this beautiful promise, draw close to God in prayer and he will draw close to you and provide the needed strength to carry you through the difficult days ahead. All the best wishes for your family at this time, take care. Thank you for your words of comfort and support. I had the honor of working with Nancy from 1972-1982 at Martin Meylin when I taught there. She was always so supportive for a me as a new teacher. If I had a question or needed information, Nancy was always there. She was so proud of her family. I had David as a student so to him and all her family, my sincere condolences. Thank you for your kind words. Mom enjoyed her years at Martin Meylin and she certainly set an example to me as a capable woman. I was so sad to hear of Mrs. O’s passing. She was a wonderful lady and a great friend to our family. She will always hold a special place in my heart as she was the one that planted the seed that led to my relationship with the Lord. She is part of the testimony that I share with others. Praying for all of you as you journey through this sad time. Thank you so much for your kind words. We are both lucky to have had special Moms. Your thoughtful comments mean a lot. Sending my deepest sympathies to the family. Thank you so much for your condolences. Your name came up throughout my life as one of Mom’s special childhood friends. She will be missed. We wish to express our sincere sympathy to the Oberholtzer Family. Nancy was a long time friend of ours. She was a very special friend of mine (Shirley). I worked with her for many years at the Martin Meylin Middle School. We had many good times together. Our deepest sympathy to all of you. Thank you Shirley for your kind words. In the last few years Mom lost her ability to keep up with good friends, but I know she valued your friendship.